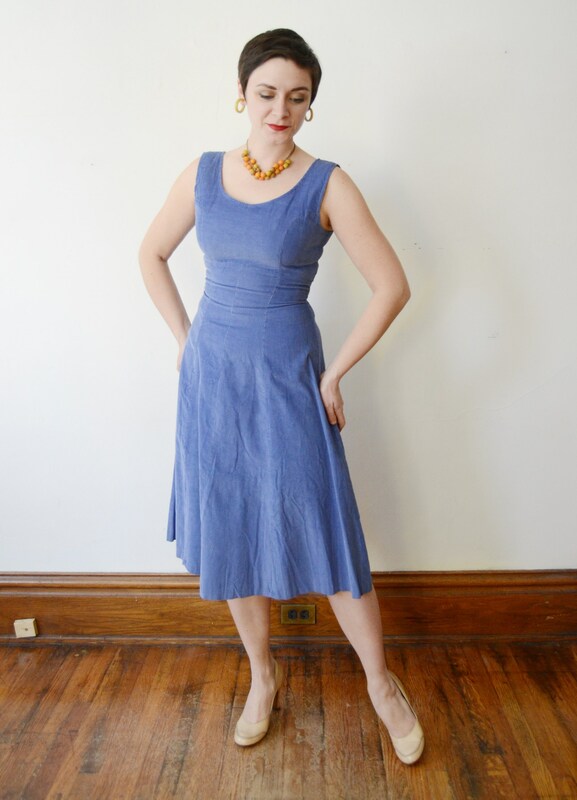 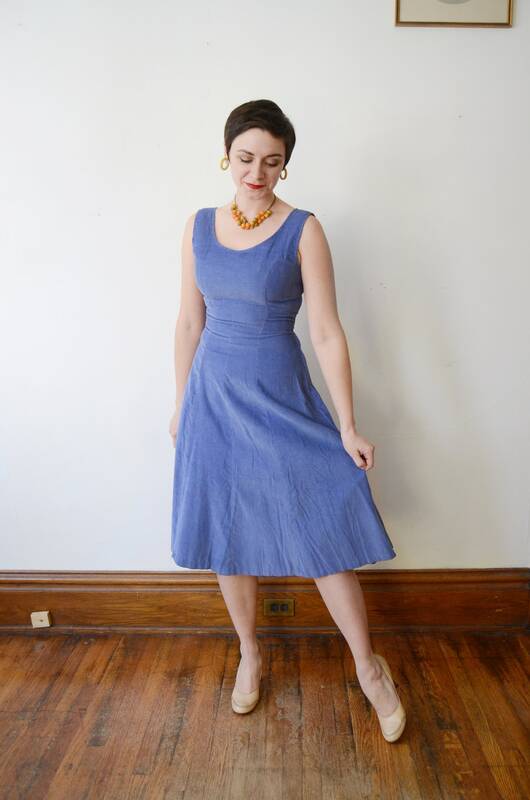 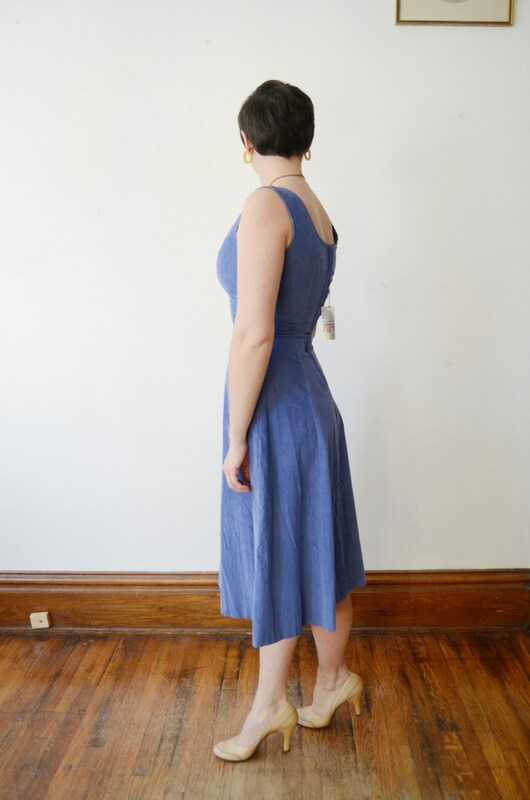 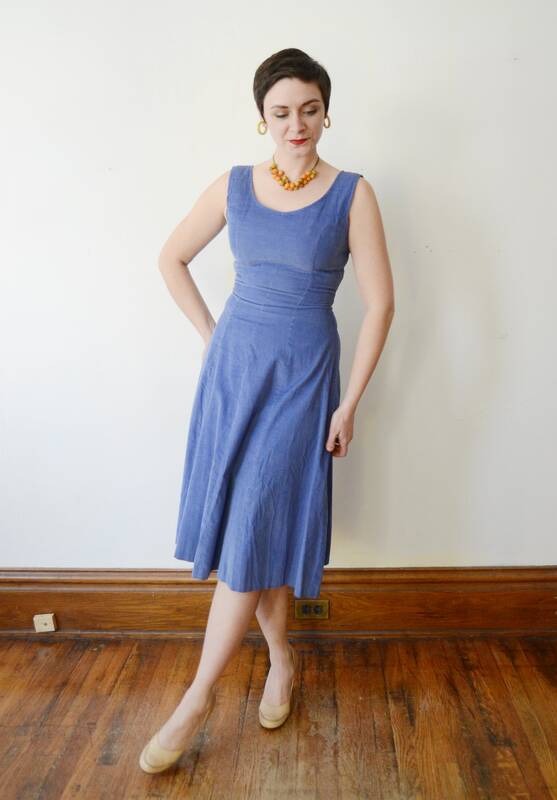 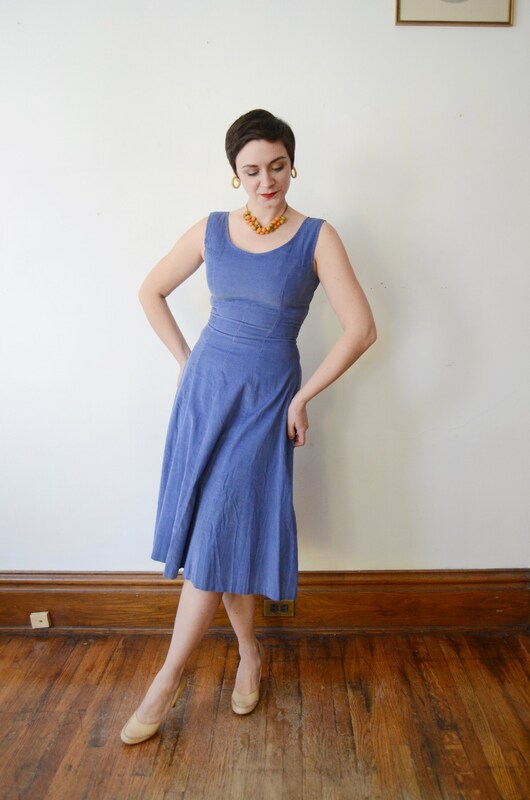 Description: Deadstock periwinkle corduroy dress with a back metal zipper. 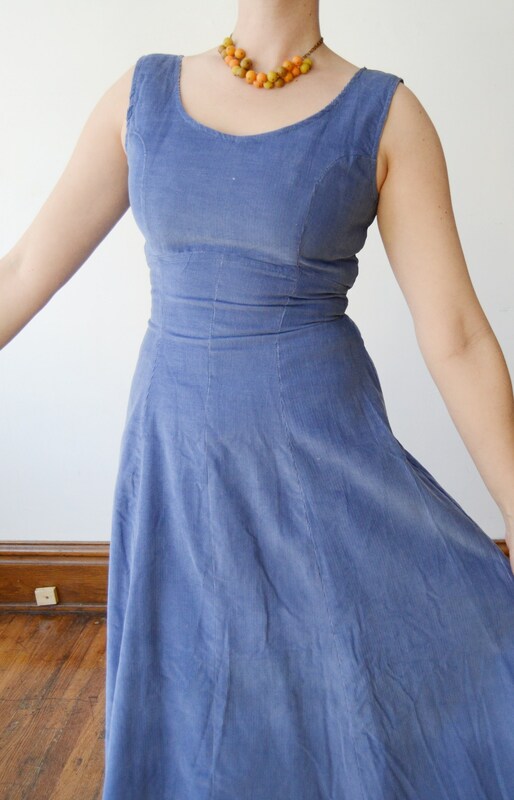 Will also look amazing layered over a blouse or sweater! 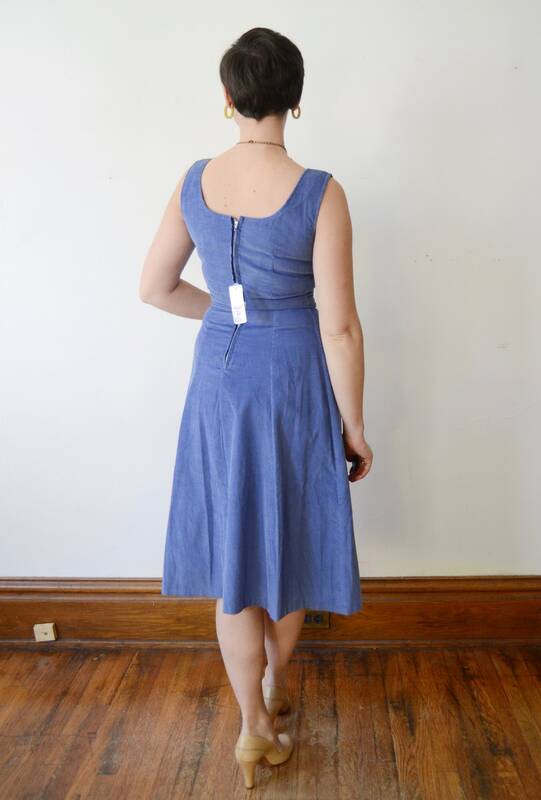 Tag: There isn’t a brand, just the logo for the type of fabric.